A bowl of roasted almonds on a table. 1 What Are 10 Anti-Wrinkle Foods to Eat? 2 Can You Change Skin Tone with Food? 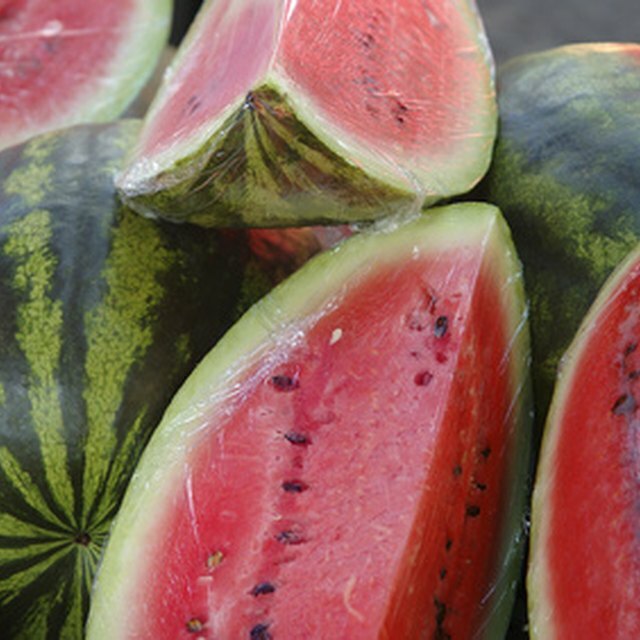 3 Can Certain Fruits and Vegetables Help Your Skin Look Good? Wrinkles are a natural by-product of the aging process. Over time, skin loses elasticity and becomes thinner and drier, increasing its potential for damage. While heredity, excessive sun exposure and smoking are major contributors to wrinkles, according to MedlinePlus, a healthy diet may improve your skin health and help prevent wrinkles. For best results, seek guidance from your dermatologist. Red bell peppers are one of the richest dietary sources of vitamin C. According to research published in the "American Journal of Clinical Nutrition" in October 2007, vitamin C-rich foods may help prevent wrinkles. In the study, researchers analyzed the nutrient intake and skin aging symptoms in 4,025 women aged 40 to 74. Women who consumed a high intake of vitamin C as part of a healthy diet exhibited younger-looking skin. Orange juice promotes hydration, which is important for healthy skin. Also, it is second only to red bell peppers in vitamin C content, with a 3/4-cup serving providing over 150 percent of the daily recommended intake. Citrus fruits are rich sources of vitamin C and contain more fiber than citrus juices. One medium orange provides 117 percent of the recommended daily intake of vitamin C, while one whole grapefruit provides over 120 percent. Whole grains supply rich amounts of nutrients and fiber. The "American Journal of Clinical Nutrition" study also reported a link between diets rich in refined carbohydrates and aging skin. Replace enriched breads, pasta, cereals and snack foods with whole grain equivalents regularly for best results. Fatty fish provide omega-3 fatty acids—healthy fats that promote cardiovascular health. Omega-3 fats can also reduce your skin's inflammatory response to toxins and UV rays and lead to fewer wrinkles, according to Allison Tannis, author of "Feed Your Skin, Starve Your Wrinkles." For optimum benefits, consume fatty fish, such as salmon, tuna and sardines on a regular basis. Flaxseed also provides omega-3 fatty acid benefits and rich amounts of fiber. To reap maximum benefits, add ground flaxseed to cereals, smoothies, yogurt and baked goods frequently. Walnuts and walnut oil also contain omega-3 fatty acids. Tannis recommends topping salads with walnuts and making healthy salad dressing with walnut oil as healthy, skin-enhancing food options. Leafy green vegetables, such as spinach and kale, are rich in nutrients and fiber. The antioxidants in leafy greens protect your skin, according to dermatologist Lawrence E. Gibson. Consume a variety of leafy greens regularly for maximum benefits. According to Tannis, legumes such as beans and lentils contain phytonutrients that enhance collagen production and improve hormone levels, which can contribute to wrinkles. Replace high-fat meats with legumes frequently for heightened benefits. Almonds are a rich source of vitamin E. This fat-soluble nutrient promotes skin elasticity, according to Tannis, and may reduce wrinkling. 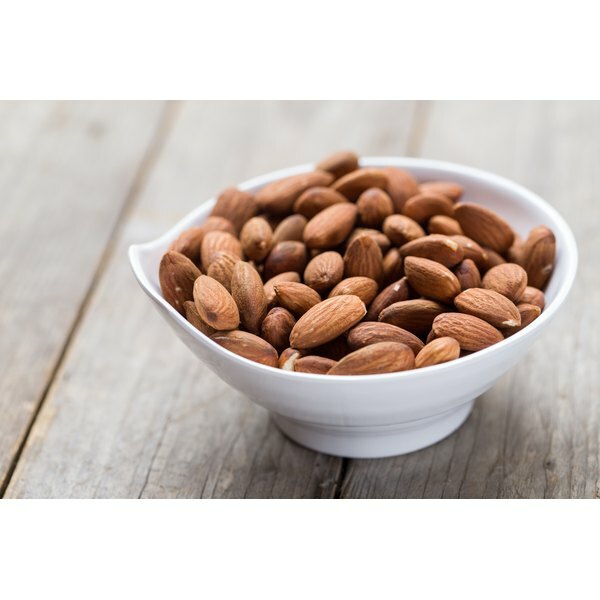 To benefit from vitamin E, enjoy raw and roasted almonds as healthy snacks and meal additions. Almond butter is also high in vitamin E.
Are Red Plums Good for You?